The Sedimentology and Stratigraphy group use a broad range of techniques and often collaborate with other groups and laboratories, including the Geochemical Laboratories (for stable-isotopes, metal-isotopes and elemental concentrations), the e-beam labs and the Geofacilities. Facilities operated by the group are described below and in the links. We are always open to new collaborations, so please get in touch if you think we can help! In Oxford we can analyse organic matter in a number of ways. Using bulk sediment we can determine the amount of organic matter present in a sample and source rock characteristics (HI, OI, Tmax etc) using a Rock-Eval 6. We have a number of options for solvent extraction of biomarkers from samples, including a dedicated microwave and Soxhlet. For basic characterisation of biomarkers we are in the process of purchasing a GC-MS/fid…. watch this space! Much of our current work is focused on a group of membrane lipids produced by marine archaea and soil bacteria (glycerol dialkyl glycerol tetra ethers, or GDGTs) that are used for various palaeotemperature proxies (TEX86, MBT/CBT). 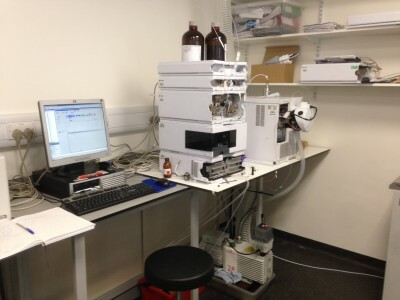 For this work we have a dedicated Agilent HPLC-MS.